At Three Rivers Local School District, I work as the Chief Academic Officer. I have worked with the district since 1999. My favorite part of working for this district is the community. In my personal time away from work, I enjoy spending my time with my family, traveling and reading. At Three Rivers Local School District, I work as a Treasurers Assistant/Payroll Specialist. My favorite part of working for this district is the pride and passion that all staff members have to be their best each day. In my personal time away from work, I enjoy spending my time with my family and coaching various sports. I also enjoy watching all of Cincinnati’s sports teams. I have worked with the district since the 96-97 school year. My favorite part of working for this district is I love Three Rivers and enjoy the type work that I do. 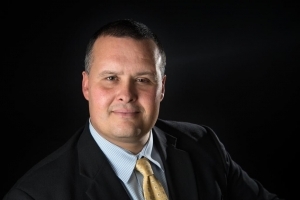 Craig Hockenberry grew up in Northeastern Ohio in the small town of Malvern. After graduating from high school in 1990, he was recruited to play football at the College of Mount St. Joseph. He was part of the first football team and played for legendary Coach John Pont. After graduating from Mount St. Joseph in 1995 with an undergraduate degree in Elementary Education, he immediately began teaching at Roosevelt School in the Cincinnati Public School system. During his short time at Roosevelt, he attended night school at Xavier University where he received a graduate degree in Educational Administration. He then enrolled in the University of Cincinnati where he began work on his PhD in Urban Education. After Roosevelt School closed in 1998, he was named Assistant Principal of Oyler School in Lower Price Hill. After two years, he was promoted to Principal there. During the last 10 years at Oyler, the school has transformed from a K-6 school to a full service PreK-12 Community Learning Center. The school went from Academic Emergency to Academic Watch to Continuous Improvement and, most important, it has been graduating students from a community that once held the highest drop-out rate in the City of Cincinnati. In 2009, Craig was named Cincinnati Public School Administrator of the Year and received the James N. Jacobs Award. Also in 2009, he was the recipient of the 2009 Dream Makers Award from the Cincinnati Youth Collaborative (CYC) for his school's work in building partnerships; he was named Lower Price Hill Man-of-the-Year for his work in the community of Lower Price Hill and was recently named The King of Price Hill. Craig lives in West Price Hill with his wife Erin and their three children: Vivian, Gino, & Rocco. His personal interests include travel, running, college football, and, of course, spending every minute he can with his family. He was the President elect of the Price Hill/Western Hills Kiwanis Club. He is a Leadership Cincinnati Alumni Class #39, and a member of the Cincinnatus Association. He was a member of the Price Hill Civic Club, the East Price Hill Property Owners Association, Lower Price Hill Community Council and served on the board of directors at Santa Maria Community Services, Price Hill Will, and the Queensgate Business Alliance. He currently is a member of the Western Hill Community Service Club, the Cleves-Three Rivers Kiwanis Club, and the Western Economic Council and in 2015 he was appointed to the advisory boards for Mount St. Joseph University and Xavier University. On Saturday, May 11, 2013, Craig received an honorary Doctor of Humane Letters from the College of Mount St. Joseph and delivered the 2013 Commencement address. The 15 years of work and dedication at Oyler School was nationally recognized for an entire year on Marketplace/National Public Radio (NPR) in a series title “One School, One Year…” He has spoken across the nation about leadership, education, and community leader centers. At Three Rivers Local School District, I am the Superintendent's Administrative Assistant and HR Department. I have worked at Three Rivers since 1996. My favorite part of working for this district is that it's all about what's best for children. Their success is our success. In my personal time away from work, I enjoy spending time with my family, traveling and reading. At Three Rivers Local School District, I work as a Director of Communication. My favorite part of working for this district is the genuine passion everyone has for the students and surrounding community. In my personal time away from work, I enjoy spending my time traveling; especially out west.